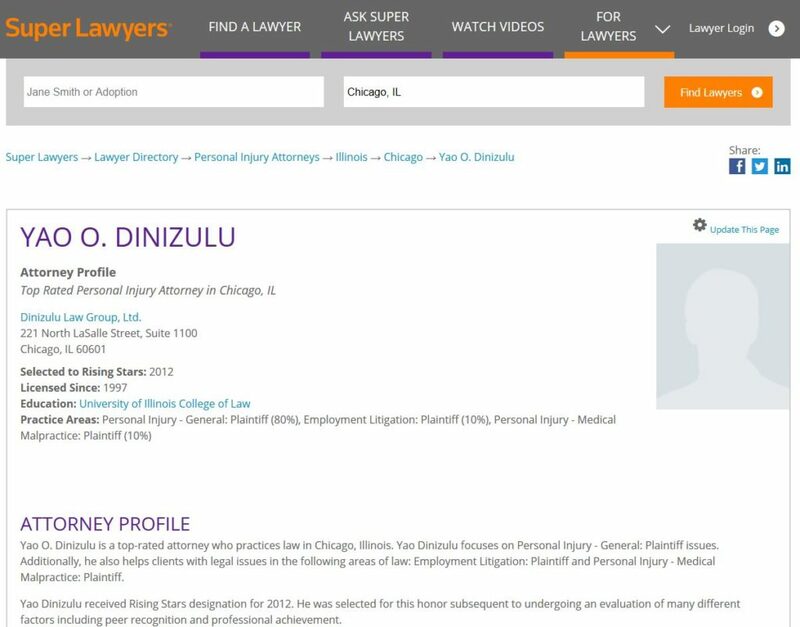 Yao O. Dinizulu is a top-rated attorney who practices law in Chicago, Illinois. Yao Dinizulu focuses on Personal Injury – General: Plaintiff issues. Additionally, he also helps clients with legal issues in the following areas of law: Employment Litigation: Plaintiff and Personal Injury – Medical Malpractice: Plaintiff.